The state Constitution divides the powers of state government into three branches: the legislative, the executive, and the judicial. The constitution places the “Supreme Executive Power” of the state with the governor. The governor and his executive branch agencies “execute” or administer laws, mandates, and new programs created by the General Assembly. 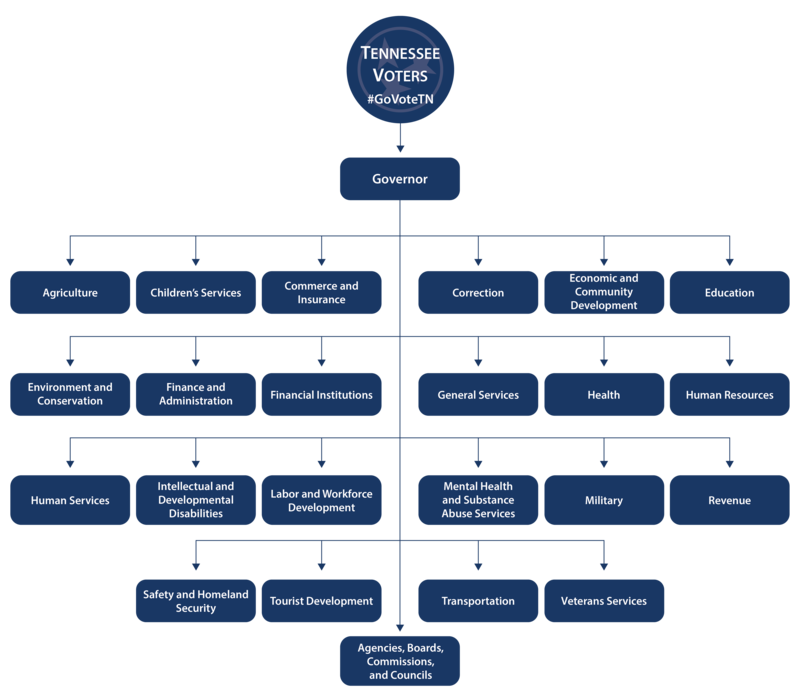 The governor is essentially the CEO of the State of Tennessee.